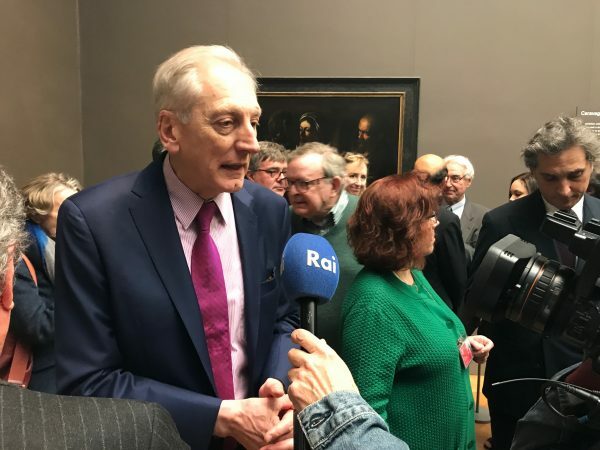 NEW YORK—Expressions of denial, guilt, and regret are written all over the faces of the main figures in the last two works of the Italian old master Michelangelo Merisi da Caravaggio (1571–1610). 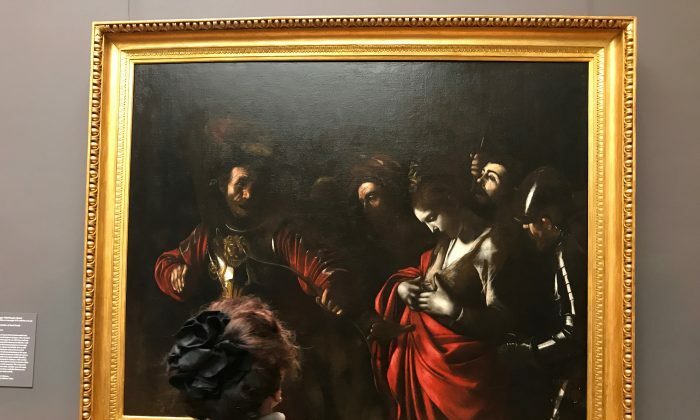 “The Martyrdom of Saint Ursula,” an exceptional loan from the Banca Intesa Sanpaolo in Naples, can now be seen side by side with The Metropolitan Museum of Art‘s own “The Denial of Saint Peter.” Caravaggio painted them just a few months before his death, during what art scholars call his Black Period. 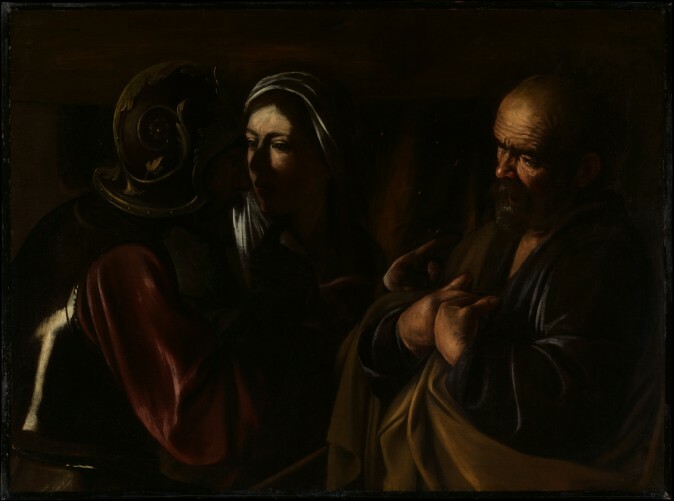 We usually associate Caravaggio with darkness, with his chiaroscuro technique of strongly contrasting lights and darks. But these last two paintings show even more condensed values in modeling the forms of the figures, and “abbreviated brushstrokes, with everything condensed down to an emotional intensity,” said Keith Christiansen, the chairman of the Department of European Paintings at The Met. 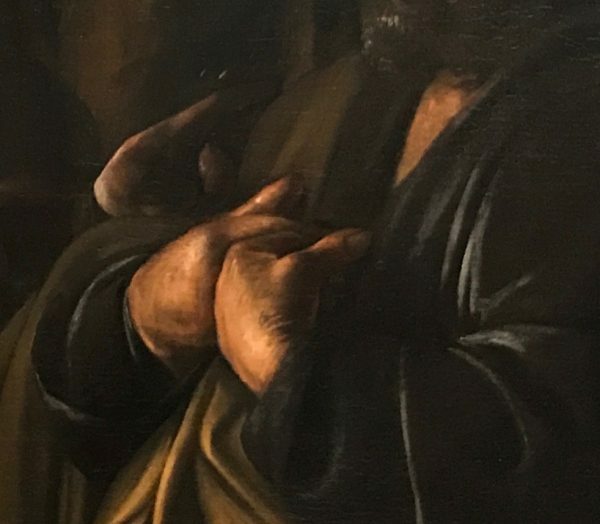 Compared to the rest of Caravaggio’s oeuvre, it’s an unprecedented minimalist style, emphasizing the emotional expression of the figures more so than the naturalistic depiction of them. 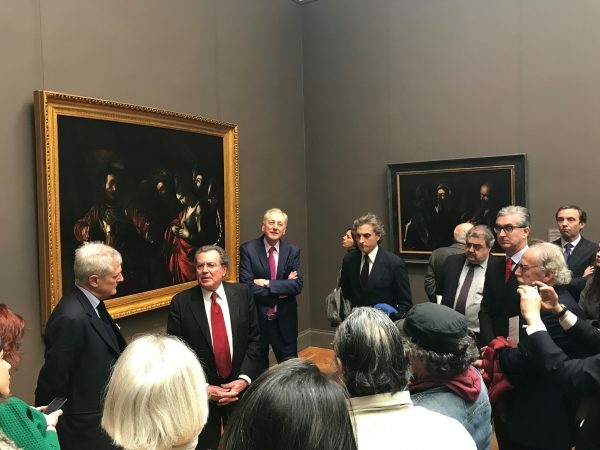 Caravaggio depicts Saint Ursula and Saint Peter as individuals “facing the consequences of actions that had been taken too quickly, without thought,” Christiansen said, at the press viewing. 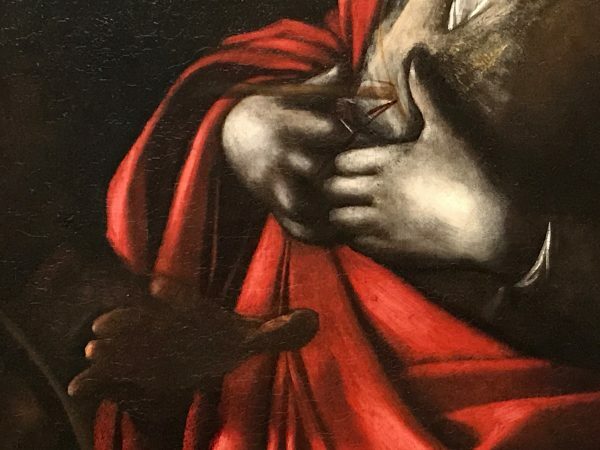 The hands of Saint Ursula turned inward to the breast look almost identical to those of Saint Peter, but the actions that led to their expressions are quite different. According to one legend, Saint Ursula traveled with 11,000 virgins to Cologne, where the chief of the Huns besieging the city fell in love with her. When she rejected his advances, he killed her with an arrow. Caravaggio depicts the conflicted reactions of rage and guilt of the tyrant, placing him improbably close to Saint Ursula, who looks perplexed as she contemplates both her death and martyrdom. In “The Denial of Saint Peter,” a woman accuses Peter of being a follower of Christ. Peter’s gesture shows denial and guilt at the same time. “These are human dramas of extraordinary quality,” Christiansen said. These two paintings have not been displayed together since 2004. They will be on view at The Met Fifth Avenue, in Gallery 621 of the European Paintings collection, until July 9, 2017.